The dispute over vegetarianism in the early church shows that the leadership of the Jerusalem church was vegetarian. The later history of Jewish Christianity indicates that Jewish Christianity was vegetarian and preserved this tradition of defending animals. Jesus’ attack on the animal sacrifice business demonstrates that Jesus himself shared these views. The very earliest layer of historical evidence about Christianity, the letters of Paul, indicate that vegetarianism was a hot topic in the early church. Before the destruction of the temple, before the gospels were written, and before theological assumptions colored later Christian histories, Paul is clearly enmeshed in a huge controversy over vegetarianism. The outlines of this controversy are found in Romans 14, I Corinthians 8–10, and Galatians 2. In Romans and I Corinthians, Paul indicates that his opponents are vegetarians. Paul maintains that it is perfectly all right to eat meat, but also counsels diplomacy in dealing with the vegetarians. Paul suggests not offending the picky eaters in the early movement. Nothing is unclean of itself, but it is unclean for anyone who thinks it is unclean . . . Do not, for the sake of food, destroy the work of God. Everything is indeed clean, but it is wrong for anyone to make others fall by what he eats; it is right not to eat meat or drink wine or do anything makes your brother stumble (Romans 14:14, 20–21). In this phrase “makes your brother stumble,” we can see the whole problem. It is eating meat and drinking wine which makes these vegetarians stumble, because they are offended by it. Paul says we can safely ignore these vegetarians . . . These early Christian vegetarians were offended by the thought that other believers might sacrifice animals or eat meat. Not only are they vegetarians, they believe that vegetarianism should be required of all followers of Jesus. It is not a question of personal preference, but a question of conscience. So who are these trouble-making vegetarians who must not be offended? They were the leaders of the early church. In Galatians 2, Paul’s opponents are clearly spelled out: James the brother of Jesus, Peter, and John. The dispute itself is not as clearly spelled out, all we know is that until “certain men from James” came to Antioch, that Peter ate at the “table of gentiles” (Galatians 2:12). We do know, though, that James’ view carried the day, at least at the time. Peter stops eating at the table of gentiles. “Even Barnabas was carried away,” Paul ruefully admits (Galatians 2:13). This dispute in Galatians is not about kosher regulations in the modern sense, as if someone had pork at the table, or someone were mixing meat and milk. Rather, Paul is concerned with James’ much more radical idea of what is kosher; it is meat and wine, by themselves, that make a meal unclean (Romans 14:20–21). Later Jewish Christianity, especially the Jewish Christian Ebionites of the second, third, and fourth centuries, inherited the traditions of James and the Jerusalem church. They would not eat meat, or eat with anyone who was not baptized and had therefore given up meat — for them, all believers were vegetarians and had renounced violence. These later Jewish Christians were described by such early Christian writers as Irenaeus, Hippolytus, and Epiphanius, and also in two lengthy documents which are mostly Jewish Christian in origin, the Homilies and Recognitions. To eat “dead flesh” is to eat at the table of demons (Homilies 7.4, 7.8), and in the Homilies and Recognitions, followers of Jesus are counseled to avoid eating at the table of demons. Indeed, they should not even eat with anyone who has eaten at “the table of demons” and has not subsequently been baptized. That’s why, according to Jewish Christianity, Peter refused to eat with unbelievers or “gentiles” (Recognitions 1.19, 2.3, 2.71–72, 7.29, 7.34; Homilies 1.22, 13.4). Jesus was a Jew, and in the beginning all followers of Jesus were Jews, but by the second century Jewish Christianity is condemned as a heresy. When the rest of the New Testament is written, though, Paul’s anti-vegetarian viewpoint is triumphant and is written into the Christian literature. There is no restriction on food; Mark says parenthetically that Jesus “declared all foods clean” (7:19). Jesus now distributes fish to the five thousand, and even eats fish after the resurrection (Luke 24:43). The Jewish Christian Ebionites were loyal to the Jewish law (as interpreted by Jesus), they despised Paul, they rejected animal sacrifice, and they were vegetarians. They have, in short, inherited the traditions of the vegetarians in the early church described by Paul. The vegetarian opponents of Paul were also loyal to the law, despised Paul, rejected animal sacrifice, and were vegetarian. The early church was highly fragmented, with numerous competing heretical groups. Why, of all the innumerable groups that followed Jesus, should we believe the gentile Christian groups rather than the Jewish Christian groups? Wasn’t Jesus himself a Jew? Wouldn’t those early Christians who — like their teacher — were also Jewish, be most likely to have understood Jesus correctly? The animals which are being sold are sacrificial animals, and it is these dealers in animals whom Jesus is angry with. The primary practical effect of this confrontation was to disrupt the animal sacrifice business — chasing out the animals to be sacrificed, or those who were buying or selling them to be sacrificed. “Cleansing the temple” was an act of animal liberation. Jesus himself quoted the prophets when he said, “If you had known what that text means, ‘I require mercy, not sacrifice,’ you would not have condemned the innocent” (Matthew 12:7). We know that there were vegetarians in the early church, including the leadership, who were not only vegetarian but believed that vegetarianism should be required, and were in a serious dispute over food with Paul. We know that later Jewish Christianity claimed allegiance to this Jerusalem church and rejected Paul; they were vegetarians, against animal sacrifice, and loyal to the law. Finally, we know finally that Jesus was arrested and executed after a confrontation in the temple in which he disrupts the bloody animal sacrifice business. If we know anything about the historical Jesus, we know that he was vegetarian. >>> These verse is clearly stated every plant and tree with fruits shall be the only food for human. Animals and every living beings that crawl, swim or fly around earth is not food for human. But God have given them every green plant for food. This article got some nice comments in my Facebook group http://www.facebook.com/groups/cvadiscuss. Best summary of your key points I can remember. Awesome! I can say, I researched much material and you are correct. I humbly had to come to the same conclusion as you – Jesus and apostles were vegetarians. I always had a problem with Paul agreeing that it is okay to eat meat sacrificed to idols, despite the fact the Jesus in the book of Revelation denounces this practice and so does the book of Deuteronomy. But Paul was fine with it! Even a year ago studying this issue I was so angry with Paul and I started doubting his genuineness. I mean, I will go with Jesus over Paul – that’s for sure. Steve and me – we made our stand for vegetarianism but it comes with price – persecution! We have never been persecuted this bad yet, only after standing up for love for all creatures! Well that proves by itself that we tapped into something very real and truthful! For Jesus said they will persecute us as they did Him! Her it is! We are persecuted by Catholics and mostly Protestants and mostly those who claim to be KJV only believers. Those are the worst inquisitors I would say…they made many videos against us and even publicaly attacked our character and lie about our private life as well. I am so respectful of you taking such public stand for truth! You are a true hero brother. May Gd of All bless you and even through persecutions, you will be blessed. You have been called for such a time as this. Thank you for your boldness to,speak truth. Be blessed. The Book of Enoch is not in the Old Testament CANON, and not accepted by Christians and Jews. The canon is irrelevant in this case, since it wasn’t formalized for many centuries afterward, and in any event it represents a political decision of later Christians, not what the Christians of the first two centuries perceived as inspired. It used to be accepted and read by Christians as was The Book of Jubilees. The Ebionites had two ideas, slightly contradictory to each other. 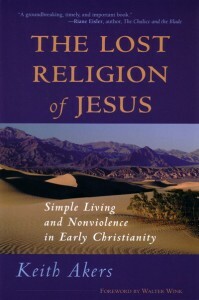 The main view was that the true law of God was different from the written text which we have before us today. They saw themselves as loyal to the law, as interpreted by their teacher Jesus. Animal sacrifices, even those offered in the Jerusalem temple, were a form of idolatry (see Acts 7:39-41, 51). This written text had been corrupted with false texts, such as the commands to offer animal sacrifices, and descriptions of God as jealous or warlike. Jeremiah 8:8 says: “How can you say, ‘We are wise, we have the law of the Lord,’ when the scribes with their lying pens have falsified it?” The true law had been given at the creation (Homilies 8.10) and preceded Moses. Moses received the true law, and communicated the law orally, without writing, to seventy wise men (Homilies 3.47). Later someone wrote the law down, but it was not Moses and had false texts inserted. The Ebionites had another, somewhat contradictory idea. Moses had approved of animal sacrifices because, while he saw they were evil, they were not as bad as the pagan animal sacrifices. So Moses abolished the idolatrous part of animal sacrifices and left it to the “true Prophet” who would follow later (Deuteronomy 18:15-18) to abolish animal sacrifices altogether. This “true Prophet” was Jesus. In this line of thought, animal sacrifice was tolerable up to Jesus, but unacceptable afterwards. This blog has extremely poor biblical exegesis. In fact, I would say this whole blog is dependant on eisegesis and heretical sources. Causing real bad assumptions. There’s no “eisegesis” here, just a straightforward reading of the text. What part of “eat anything sold in the meat-market without raising questions of conscience” don’t you understand? I’m vegan, but the feeding of fish illustrated in fish and bread being multiplied would suggest that Jesus was pescetarian. The quick answer to this objection is that the “fish stories” about Jesus are all added later and are not historical. Originally the stories about the feeding of the 5000 or 4000 only described bread, as in the versions of these same stories in Irenaeus, Eusebius, and Arnobius, where fish are conspicuously absent. There are other issues also, and a longer answer can be found here. Very nicely written blog Keith! Though I am not a Christian, I like the teachings of all Mystics, including Jesus, and I am convinced that the Prophets come to show us the path to God, which can only be traversed if we have God like qualities, I.e. love and compassion for God and for His entire creation. So how could they preach to eat meat? I only wish that people in today’s age, especially Christians, become little open minded and start reading the historical facts so nicely summarised by you in the blog! The world would be such a nice place without alcoholic drinks and animals being killed to satisfy our taste buds! There’s now a translation of an earlier (and somewhat longer) version of this article in Finnish here. The arguments against meat and only men weak in their faith won’t eat the meat is not because of their concerns for animals. Back then, the non-Jews sacrificed animals to pagan gods, then sold the meat at the local markets. You never knew which meat was from these pagan sacrifices and whi h wasn’t. Some Jewish people did not want to eat meat sacrificed to pagan gods, so they refrained from eating any meat to be on the safe side. I was taught that Paul is saying eating meat sacrificed to pagan gods is not the same as worshipping pagan gods, but if doubt bothers you, then don’t eat it. Hence the “weak in their faith” comment. Thanks for your response. You have packed a lot of assumptions into your paragraph. We shouldn’t assume that the vegetarian motivations of Paul’s opponents was not for ethical treatment of animals; in fact, the evidence indicates that they were. While we don’t have any direct accounts from Paul’s opponents, we do have the accounts of the Jewish Christian Ebionites, which clearly show ethical concern and vigorously attack animal sacrifice and meat-eating generally. God never wanted animals killed in the first place, Homilies 3.45. 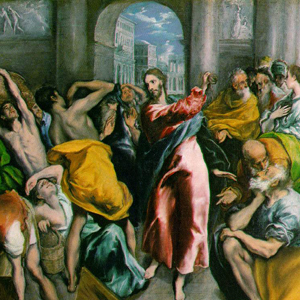 The Homilies reflects the views of Paul’s opponents as carried on by these opponents’ own followers, the Jerusalem church under James’ leadership, with whom Paul has a bitter dispute. The Ebionite (and the early Christian) understanding was that the Jewish practice of animal sacrifice was just as bad as the pagan. It was the work of demons who were promoting meat-eating. The New Testament has abundant evidence of hostility to Jewish animal sacrifice, see Acts 7, Matthew 9:13, 12:7, John 2:13-17, etc. Therefore the objections to animal sacrifice were deeper than just the problem of accidental complicity with paganism. Animal sacrifice was wrong to begin with. Paul is saying a lot more than just advising the people to avoid meat if it bothers them. This is a convenient interpretation which smooths over all the controversies in the early church and distorts the plain meaning of these and other texts. For Paul, the teaching of ethical vegetarianism is wrong and the “weak” in faith are in error. He asks rhetorically, “does God care for oxen?” In Galatians, Paul says that he wants his opponents (including James, Peter, and John, evidently) to castrate themselves and declares his independence of the other apostles. 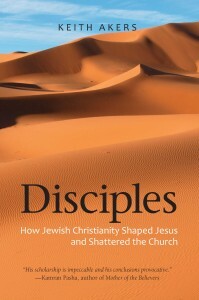 For more discussion, check out Disciples, p. 130-131, p. 135-140. As a vegetarian, soon to be vegan, who has struggled for many years with reconciling my Christian faith with the destruction of our natural world at the hands of professed Christians, I have to admit that this website and the research I have done lately on this subject has breathed new life into my faith. I have never been more at peace. I always felt “something” was missing in my religious upbringing. I feel like I’m on a new journey. Thank you so much Keith for your research and for all the uplifting posts – from everyone. Truly..hallelujah! Yay remember Leviticus 17 – If any one of the house of Israel kills an ox or a lamb or a goat in the camp, or kills it outside the camp, and does not bring it to the entrance of the tent of meeting to offer it as a gift to the Lord in front of the tabernacle of the Lord, bloodguilt shall be imputed to that man. He has shed blood, and that man shall be cut off from among his people. Jesus destroyed the temple, so now there is no tent to bring sacrifices to. So to kill ANY animal ANYWHERE impugns bloodguilt. – – VII. Thou shalt not do any harm to man or to animals. These preceded Moses’ ten commandments by 2000 years, and contain 7 of the 10 commandments. I always disagree with my friend (who converted to Christianity and has now become a Preacher) who says that (a) Jesus was a Non-vegetarian and (b) Jesus baptized with water. I believe that Jesus was (a) Word made flesh, (b) Jesus was Vegetarian and (c) Jesus baptized with Holy Ghost and Fire. I also believe that the New Testament does not reflect all true events and many things have been changed to suit the Church.